The American Chronicle can be a pretty hokey online rag, but once in a while they feature the occasional gem — like today’s interview with Barefoot Coffee Roasters‘ founder and all around cool guy, Andy Newbom: American Chronicle: Andy Newbom of Silicon Valley – Founder of Barefoot Coffee Roasters. In the interview, Andy reveals how he started out as a coffee hater, if not for his wife. Andy recalls a foodie trade show where after 11 terrible espressos, he had given up on coffee and was ready to simply get drunk on wine and cheese samples. That is, until he was ambushed by one last espresso that changed everything for him. The revelation espresso. That espresso that many of us have had that forever changed all our preconceptions about what espresso could be. Did I mention how much I love this guy? Is it coffee … or a carpet deodorizer? It’s both! On Friday, The Republican (Springfield, MA) reported on a recent, local case of daughter-mother domestic abuse: Counseling ordered in ‘poisoned coffee’ case – Breaking News – MassLive.com. On the surface, the story is your typical police blotter fodder. But peel back a layer, and it raises all sorts of questions about what really goes into a can of Big Four coffee — and questions about the people who drink it regularly. 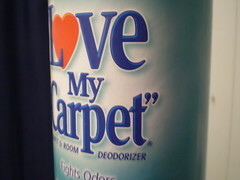 The short of it is that a 19-year-old daughter maliciously added Love My Carpet® carpet & room deodorizer to her mother’s can of Maxwell House coffee. A regular Maxwell House drinker, the mother “had been experiencing stomach upset for about a month prior to her daughter being arrested.” She thus apparently continued to drink her daily cup of Maxwell House, oblivious to any taste, smell, or other sensory differences introduced by a big dose of Love My Carpet® non-dairy creamer. The sad story of domestic abuse is scary enough. But scarier still is the notion that a regular coffee drinker cannot tell the difference between Maxwell House and a carpet & room deodorizer. But I’m still not sure if this story says more about the quality of Maxwell House coffee or the taste buds of loyal Maxwell House drinkers, or both. I believe this reference is to the one and the same Cantata Coffee on Upper Haight Street — which has quietly labored as an independent purveyor of fresh roasted beans for decades. The video shoot is obviously from nowhere near the Cantata, as it’s hard to merge the images in this video with Haight St. teen skate punks begging for change and a swearing street person marinating on the sidewalk in his own urine. I can’t in my right mind write a legitimate review of SF’s infamous Buena Vista Cafe. Sure, it’s no secret that I frequently dismiss the merits of the coffee cocktail — what people do to coffee when it either isn’t very good, when people don’t like it, or when people get bored easily. Even if the coffee cocktail is a compulsory event at barista championships. But there is no espresso to speak of at The Buena Vista. And if this place did serve espresso, it most certainly would set CoffeeRatings.com records for inadequacy. But in case you haven’t been a tourist in your own back yard for quite a while, The Buena Vista introduced Irish Coffee to America. It’s what the Italians call “Irish Coffee” (no caffè irlandese here, folks — an Italian barista will have no idea what you’re talking about). Back in 1952, the original owner of The Buena Vista joined forces with a travel writer on a mission to recreate the Irish Coffee served at Shannon Airport in Ireland. They soon perfected the recipe, and they’ve been serving it ever since. 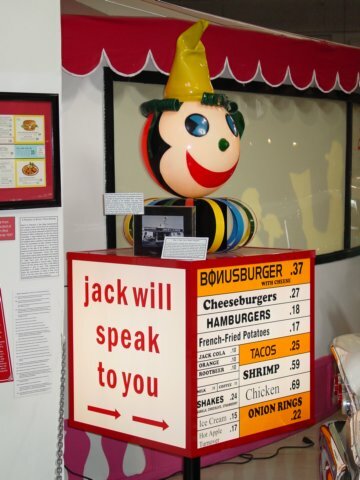 This former restaurant for Wharf seamen is located at the SF cable car turnabout — at Hyde and Beach Sts., near the end of Columbus Ave. The Buena Vista is packed with tourists from all over. Glasses are lined up for a mass production mixture of coffee, sugar, Bushmills Irish Whiskey, and cream. The watery coffee is from Peerless, so you need a lot of whiskey to make it palatable. But hey — drink up. Today you’re a tourist in your own home town. In case you needed more evidence that quantity and quality are often very different things, the Buena Vista Cafe is apparently about to drive that point home next week: Buena Vista Cafe in San Francisco on mission to make world’s largest Irish Coffee – San Jose Mercury News. Trip Report: Sundance Coffee @ 24th St. This second outlet of the locally owned and operated café chain opened with the 2007 New Year. It’s spacious, clean, and (like the original at 3rd & 20th Sts. in Dogpatch) has a Starbucks-like modern design. One of the things I really like about this stretch of 24th St. is that it has the cultural significance of Mission St. without the urine smell. But a store this “sanitized” might earn grumbles from the anti-gentrification set if not for their political leanings. There’s window counter seating, seating at a few indoor tables, and a couple of outdoor sidewalk tables. The company was founded on the belief that Fair Trade/Organics are the future of American coffee purchases (they’re big believers in Guatemalan-sourced FTO coffees), and I don’t disagree. But you could make the case that FTO will be co-opted as the future of Starbucks, which is perhaps not what the owners intended here. All that attention to FTO seems to have distracted them, as their choice of a single-group superautomatic Schaerer machine ensures a glass ceiling on their coffee quality. Single origin Guatemalan beans don’t always brew the best flavor profiles for espresso unless you’re dealing with very high quality stocks and the right roast levels, but I primarily point a finger at the choice of machines here. Read the review of Sundance Coffee on 24th St.
Corporate spokespeople frequently speak volumes more in what’s left unsaid than in what they say. Take yesterday’s Reuters news release from The Big 4‘s Kraft Foods. Kraft’s flagship coffee, Maxwell House, has desensitized American coffee taste buds for decades. Kraft has just recently decided to use 100% arabica beans in Maxwell House’s cans of unholy horror: INTERVIEW-Maxwell House coffee to go 100 pct arabica | Reuters. To also cite the Reuters article, “The move is neither an effort to challenge premium coffees nor in response to the hike in robusta futures prices to a recent nine-year peak, LeBoutillier said.” As if we didn’t predict exactly this ten months ago. A Peninsula people-watching Mecca, typically filled with large crowds throughout the day and skirmishes over available outdoor tables. It’s been that way here since I first entered this place 15 years ago. They have large indoor and outdoor seating areas, local art, occasional musicians, and obligatory patrons in bike shorts. One of the most indelible memories I have of this place is from a dozen years ago. A friend of a friend, who was visiting fresh from her compulsory military duty in Israel, asked us about it as we drove by. My other friend, himself a native of India, answered her, “It’s our local Eurotrash hangout.” To which she replied, “Oh, I love Eurotrash.” It may not be as Eurotrashy anymore, but the cyclist motif is still in full swing here. They use Mazzer grinders and twin two-group La Marzocco Lineas at the heart of this operation. The coffee drink sizes here tend to be enormous, however, so bring a snorkel and fins. They serve espresso with a very pale, blonde crema of mediocre thickness. Good Lavazza aroma. But with a pour to the rim of their Lavazza-logo IPA cups, it’s dominated by a weak body and a watery drip coffee flavor with some woody notes. Fortunately for most lactose-loving patrons, the milk frothing is much better — as everyone seems to particularly bathe in milk-based drinks here. The weak espresso can be hidden rather easily underneath it all. Read the updated review of Cafe Borrone in Menlo Park. Starbucks, Hershey to offer coffee-flavored chocolate products in the U.S.
Starbucks executives bristle at the suggestion that their corporation represents the fast food of coffee. (This despite lamenting memos from the chairman to the contrary.) But when was the last time Starbucks made a corporate decision that favored quality over quantity? Meanwhile in the news, financial analysts suspect that Starbucks will need to raise their prices once again to improve their flagging operating margins (and stagnant stock price): Price of your caffeine fix at Starbucks could be headed higher. These are rough times to be a Starbucks shareholder. Perhaps their only hope now is for Verismo to make a superautomatic espresso machine with a giant clown head that will take your double-tall, four-pump vanilla caramel macchiato order. Sure enough, Starbucks announced yesterday that it plans to raise prices 9 cents this month: Starbucks raises beverage prices 9 cents – USATODAY.com. Operating profit margins and same store sales must definitely be hurting at the company. The National Coffee Association (NCA) just recently released their annual report on coffee-drinking trends in the U.S.: National Coffee Drinking Trends Main Page – National Coffee Association. Yes, the NCA — those dinosaur progenitors of the SCAA, from way back when percolators and instant coffee that tasted like ground kitty litter roamed the earth — is still around and kicking. Relevance be damned. But the NCA publishes an annual coffee consumption report based on national market research. The short of the report this year? Apparently 18- to-24-year olds are responsible for most of the increases in coffee consumption in the past year (daily, weekly, and annual consumption). They are also the only age group that showed an increase in daily gourmet coffee beverage consumption, and they had largest increase in weekly gourmet coffee beverage consumption. Apparently you need a lot of coffee to stay awake hanging out on Facebook all the time. However, people 40 and up showed the largest growth in consumption of gourmet coffee beverages over the past year. Also of note: last year the market penetration of coffee among American adults surpassed that of soft drinks, reversing a two-decades-old trend. While some credit Starbucks with paving the way for consumer interest in these indie coffee shops, the co-owner of one of them notes, “They’ve [Starbucks] taken away the art of the barista with what I call their robo-espresso machines.” The article suggests that much of the success of these independent espresso bars comes from how they cater to a customer’s desire for “individual service and wanting to feel special”. Me? I don’t need to feel special. I just want good espresso. On that note, the rest of the article tours a number of Toronto espresso bars with Susan Zimmer, a Calgary-based author of a new book called I Love Coffee! Over 100 Easy and Delicious Coffee Drinks. Which leads me to another observation. Despite the specialty drink “ring” of the three-ring circus that is the barista championship, I have yet to meet a coffee expert with an opinion I respect who focuses their energies on the variety of coffee drinks rather than the quality of the coffee per se. Sure, a single espresso every time might sound like a monotonous death sentence to some people. But who in their right mind needs over 100 coffee drinks? That smacks of Starbucks’ coffee-flavored milkshake approach, primarily aimed at people who really don’t like coffee but still want to play along as if they do. And while I’m sure Ms. Zimmer knows her stuff — even if her other book has the red-flag title of Cappuccino Cocktails & Coffee Martinis — I can’t tell you how many times I’ve been disappointed by coffee books that suddenly turn into pages and pages of recipes by the end. These books are no more about coffee than The Betty Crocker Ultimate Cake Mix Cookbook is a book about sugar. Is it really so hard to understand? Coffee is not wine. It is not a martini either. Today’s Globe and Mail (Canada) surveyed the rise of coffee consumption among India’s growing middle class: reportonbusiness.com: Tea-drinking India warms to coffee house culture. We mentioned this trend a year ago, and today apparently one coffee company — Café Coffee Day — owns two-thirds of India’s coffee houses. This is a luxury that Starbucks doesn’t even come close to affording here, despite its joke-inspiring ubiquity. Stranger yet is that India is trying to fuel more coffee consumption as a nation: India plans to boost domestic coffee consumption – The Hindu News Update Service. Regardless, all projections suggest a rapid rise in coffee consumption among India’s big cities. According to today’s India Times, it may also be a while before Starbucks tries again to enter the Indian retail café market: Unsure Starbucks defers India entry.